Wolf Commercial Real Estate, a leading Southern New Jersey commercial real estate broker with expertise in South Jersey commercial real estate listings and services, now has available highly visible South Jersey industrial space for sale or lease at 14 Federal Street Mount Laurel NJ. This South Jersey flex building for sale or lease is 40,000-square-foot clearspan building with a 32-foot clear height. This Southern New Jersey industrial space for sale or lease is a baseball/soccer/lacrosse facility. 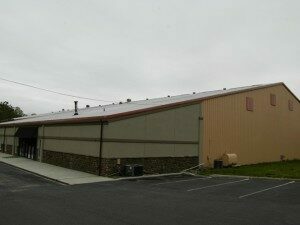 There also are two indoor basketball courts at this South Jersey industrial building for sale or lease. 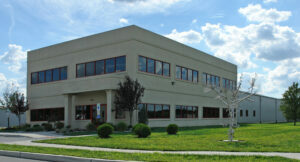 This South Jersey industrial space for lease or sale also features 3,000 square feet of office space. The asking sale price for this industrial and flex space in South Jersey is $2,800,000. The asking lease price for this industrial space in South Jersey is $7.00/sf NNN. This South Jersey industrial space for sale or lease at 14 Federal Street Mount Laurel NJ is available for immediate occupancy through Wolf Commercial Real Estate, a Southern New Jersey commercial real estate brokerage firm that specializes in South Jersey commercial real estate listings and services. This South Jersey flex building for sale or lease provides 25,000 to 40,000 square feet (divisible) of multi-purpose industrial space in South Jersey. The interior and exterior of this South Jersey industrial building for sale or lease have been recently renovated. This South Jersey industrial space for lease or sale features newly renovated locker rooms and a day spa on site. Situated on approximately 2.74 acres, this industrial and flex space in South Jersey at 14 Federal Street Mount Laurel NJ is visible from both I-295 and Route 73. Both building and monument signage is available at this South Jersey flex building for sale or lease, with the building signage facing I-295. There are 50 paved parking spaces at this Southern New Jersey industrial space for sale or lease through Wolf Commercial Real Estate, a Southern New Jersey commercial real estate broker with expertise in South Jersey commercial real estate listings and services. Additional parking at this South Jersey industrial building for sale or lease can be added on an existing gravel lot. This South Jersey industrial space for lease or sale is conveniently located just minutes from Route 73, I-295 and the NJ Turnpike. More than 211,000 people reside within a five-mile radius of this industrial and flex space in South Jersey at 14 Federal Street Mount Laurel NJ. The average household income in the same area near this Southern New Jersey industrial space for sale or lease is $105,851. There are numerous retail stores, hotels and restaurants within close proximity to this industrial space in South Jersey. For more information about this South Jersey industrial space for sale or lease at 14 Federal Street Mount Laurel NJ or about any other South Jersey commercial properties for sale or lease, please contact Christopher Henderson (856-857-6337; chris.henderson@wolfcre.com) or Jason Wolf (856-857-6301; jason.wolf@wolfcre.com) at Wolf Commercial Real Estate, a Southern New Jersey commercial real estate brokerage firm. Wolf Commercial Real Estate is the foremost Southern New Jersey commercial real estate broker that provides a full range of South Jersey commercial real estate listings and services, marketing commercial offices, medical properties, industrial properties, land properties, retail buildings and other South Jersey commercial properties for buyers, tenants, investors and sellers. Please visit our websites for a full listing of South Jersey commercial properties for lease or sale through the team at our Southern New Jersey commercial real estate brokerage firm. Wolf Commercial Real Estate, a premier South Jersey commercial real estate broker that specializes in Southern New Jersey commercial real estate listings and services, is now offering well-located South Jersey industrial space for sale or lease at 2 Executive Drive Voorhees NJ. This South Jersey industrial space for lease or sale is a warehouse/production building located in the highly desirable Voorhees community. This Southern New Jersey industrial space for sale or lease features approximately 111,861 square feet of South Jersey industrial and flex space for sale or lease. This South Jersey industrial building for sale or lease sits on approximately 9.67 acres at 2 Executive Drive Voorhees NJ. The asking sale price for this industrial space in South Jersey is $2,000,000 ($17.88/sf). The asking lease price for this industrial space in South Jersey is $3.00/sf NNN. This Southern New Jersey industrial space for sale or lease at 2 Executive Drive Voorhees NJ is available for immediate occupancy through Wolf Commercial Real Estate, a South Jersey commercial real estate brokerage firm with expertise in Southern New Jersey commercial real estate listings and services. The South Jersey industrial building for sale or lease at 2 Executive Drive Voorhees NJ is a single-story building with nine tailgate loading docs. The column spacing at this industrial space in South Jersey is 34’x40′ and 26’x38′. This South Jersey industrial space for lease or sale provides 3000 amps and 480 volts power. 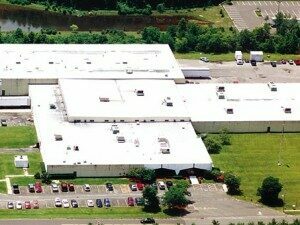 The Southern New Jersey industrial space for sale or lease at 2 Executive Drive Voorhees NJ is zoned 03. Conveniently located off Route 561 (Haddonfield-Berlin Road), this South Jersey industrial and flex space for sale or lease offers easy access to I-295 and the New Jersey Turnpike. 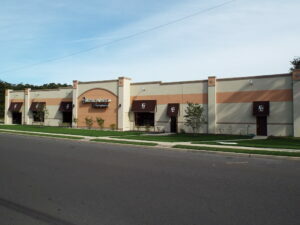 There are numerous retail stores, hotels and restaurants within close proximity to this South Jersey industrial space for sale or lease through Wolf Commercial Real Estate, a South Jersey commercial real estate broker with expertise in Southern New Jersey commercial real estate listings and services. Both building and monument signage is available at this South Jersey industrial space for lease or sale. This South Jersey industrial building for sale or lease provides ample parking with 140 surface spaces available. More than 220,000 residents live within a five mile radius of this South Jersey industrial and flex space for sale or lease at 2 Executive Drive Voorhees NJ and the average household income in the same area is $91,797. For more information about this South Jersey industrial space for sale or lease at 2 Executive Drive Voorhees NJ or about any other South Jersey commercial properties for sale or lease, please contact Leor Hemo (856-857-6302; leor.hemo@wolfcre.com) or Lee Fein (215-206-5580; lee.fein@wolfcre.com) at Wolf Commercial Real Estate, a South Jersey commercial real estate brokerage firm. While huge warehouse and distribution mega-boxes get most of the attention from analysts and institutional capital, the unassuming light-industrial market – both across the U.S. and involving South Jersey commercial properties – has quietly emerged as the sleeper in today’s red-hot U.S. industrial market. At midyear, the overall industrial sector, including industrial space in South Jersey, led all major commercial property types in growth of investment sales and rental rate appreciation. The light industrial and manufacturing subtype between 100,000 to 300,000 square feet, nationally and among South Jersey commercial real estate listings, boasted the highest year-over-year rent growth of any property type at 5.7%, compared to 5.4% for logistics buildings, 4% for office and 3.9% for apartments. In fact, U.S. light industrial and South Jersey industrial space are so hot that even older, lower-functioning buildings — many located on infill properties in supply-constrained markets — posted annual rent growth of 6.1%, the strongest rent growth within the entire industrial spectrum, according to a report from The CoStar Group that is being shared by Wolf Commercial Real Estate, a leading South Jersey commercial real estate brokerage firm. Another reason for the spiking rents is that the both the U.S. light industrial and the industrial space in South Jersey sectors have seen little growth in new supply in the current cycle. Most big-name capital sources remain focused on acquiring and developing mega-logistics properties when searching among both national and South Jersey commercial real estate listings. These properties are capturing the bulk of industrial net absorption, fueled by the so-called “Amazon effect” of e-commerce as retailers reconfigure their supply chains around same-day or next-day shipping. Investors may finally be ready to take another look at light industrial development, South Jersey industrial space and other South Jersey commercial properties. As rents for these smaller buildings have ticked up, replacement rents now appear to be high enough in many markets to justify new construction. Replacement rents for both national industrial space and industrial space in South Jersey have been high enough to support construction of larger warehouse and distribution properties on both national and South Jersey commercial properties for several quarters, and developers have heeded the call. While maintaining a measured pace of development in most markets, logistics construction last year finally passed the average of 120 million square feet under construction annually during the previous expansion cycle between 2002 through 2007. That said, light industrial construction involving both coast-to-coast and South Jersey commercial real estate listings has remained stubbornly below its previous cycle average of 40 million square feet under construction annually. “It’s very unusual for industrial to post this kind of rent growth and beat out the office and multifamily sectors,” Circ said in his report on national and South Jersey industrial space that echoes the beliefs of the local market experts at Wolf Commercial Real Estate, a highly respected South Jersey commercial real estate brokerage firm. For more information about South Jersey industrial space or any South Jersey commercial properties, please call 215-799-6900 to speak with Jason Wolf (jason.wolf@wolfcre.com) or Leor Hemo (leor.hemo@wolfcre.com) at Wolf Commercial Real Estate, a premier South Jersey commercial real estate broker that specializes in industrial space in South Jersey. Wolf Commercial Real Estate is a South Jersey commercial real estate brokerage firm that provides a full range of South Jersey commercial real estate listings and services, marketing commercial offices, medical properties, industrial properties, land properties, industrial buildings and other South Jersey commercial properties for buyers, tenants, investors and sellers. Wolf Commercial Real Estate, a South Jersey commercial real estate broker with expertise in South Jersey commercial real estate listings and services, provides unparalleled expertise in matching companies and individuals seeking new South Jersey industrial space with the South Jersey commercial properties that best meets their needs. As experts in South Jersey commercial real estate and services, the team at our South Jersey commercial real estate brokerage firm provides ongoing detailed information about South Jersey commercial properties to our clients and prospects to help them achieve their real estate goals. 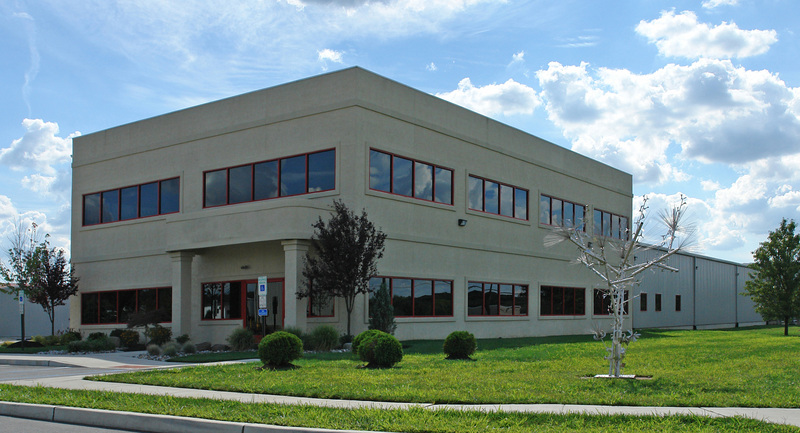 If you are looking for industrial space South Jersey for sale or lease, Wolf Commercial Real Estate is the South Jersey commercial real estate broker you need — a strategic partner who is fully invested in your long-term growth and success. After relatively flat demand for U.S. and South Jersey industrial space in the first nine months of 2014, absorption of industrial space in South Jersey and elsewhere in the nation is anticipated to rise in the last quarter of 2014 as developers deliver an estimated 50 million square feet of new warehouse and light industrial space to the market, according to a new report. 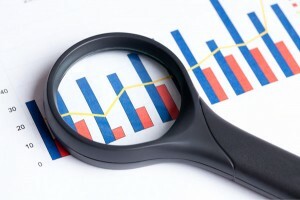 The stagnated demand for U.S. and Southern New Jersey industrial space in the first three quarters surprisingly included demand for warehouse space, which usually ticks up quarterly, but was consistent but unchanged in 2014, according to the analysis in the CoStar Third Quarter Industrial Real Estate Review and Outlook. Tenants had virtually no new industrial space in Southern New Jersey or the nation to move into because of the low vacancy rate, the report said. The dozens of new industrial buildings that will deliver to the U.S. and Southern New Jersey industrial space market by December 31 encompass both properties built to suit and those built on spec, CoStar said. The report also noted that logistics construction was increasing, with an estimated 100 million square feet of logistics under development throughout the nation. More developers were willing to build on spec because rising rents and demand justified the construction in most markets. More than half of the ongoing logistics construction has no signed sales or lease agreements in place. 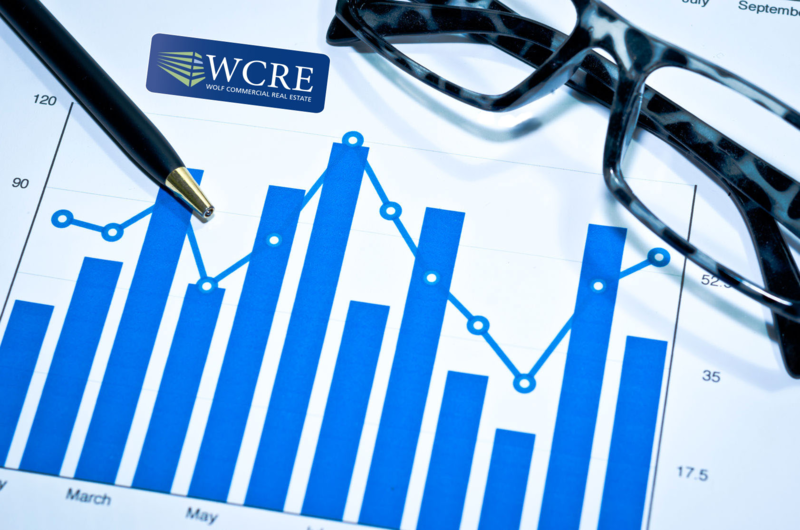 One estimate put the current level of construction at 30% below the market’s potential. With rents rising at a higher rate than replacement costs, developers were spurred on to build to meet increasing demand for industrial space in South Jersey and the U.S. The U.S. vacancy rate declined to 6.9%, CoStar said, lower than it was at this point last year, and rents reached to within about 0.8% of their long-term trend. Rents rose 3.4% over the third quarter 2013 in both the logistics and light manufacturing sectors of the market for industrial space in Southern New Jersey and the U.S., a very strong performance that nonetheless had notable differences between higher quality and less functional space, according to the report. For more information about South Jersey industrial space or any South Jersey commercial properties, please contact Lee Fein (215-799-6900-office; 215-206-5580-cell; lee.fein@wolfcre.com) at Wolf Commercial Real Estate, a premier South Jersey commercial real estate brokerage firm with expertise in Southern New Jersey commercial real estate listings and services. Wolf Commercial Real Estate is a South Jersey commercial real estate broker that provides a full range of Southern New Jersey commercial real estate listings and services, marketing commercial offices, medical properties, industrial properties, land properties, retail buildings and other South Jersey commercial properties for buyers, tenants, investors and sellers. Wolf Commercial Real Estate, a South Jersey commercial real estate broker that specializes in Southern New Jersey commercial real estate listings, provides unparalleled expertise in matching companies and individuals seeking new industrial space in South Jersey with the South Jersey commercial properties that best meets their needs. As experts in Southern New Jersey commercial real estate listings and services, the team at our South Jersey commercial real estate brokerage firm provides ongoing detailed information about South Jersey commercial properties to our clients and prospects to help them achieve their real estate goals. If you are looking for industrial space in Southern New Jersey for sale or lease, Wolf Commercial Real Estate is the South Jersey commercial real estate broker you need — a strategic partner who is fully invested in your long-term growth and success. Please visit our websites for available Southern New Jersey industrial space, as well as a full listing of South Jersey and South Jersey commercial properties for lease or sale through our South Jersey commercial real estate brokerage firm. Wolf Commercial Real Estate, a premier South Jersey commercial real estate broker that specializes in Southern New Jersey commercial real estate listings and services, is now offering South Jersey industrial space for lease at 11 Enterprise Court Sewell NJ. This South Jersey industrial and flex building for lease offers approximately 1,380-5,380 square feet of South Jersey office space for lease. This Southern New Jersey industrial space for lease also features approximately 3,800-8,030 square feet of South Jersey warehouse space for lease. The asking lease price for this industrial and flex space in South Jersey at 11 Enterprise Court Sewell NJ is $16.50/sf (office), full service, and $6.50/sf (warehouse), full service. This South Jersey industrial and flex space for lease is available for immediate occupancy through Wolf Commercial Real Estate, a South Jersey commercial real estate brokerage firm that specializes in Southern New Jersey commercial real estate listings and services. The South Jersey office space for lease within this South Jersey industrial and flex building for lease at 11 Enterprise Court Sewell NJ has seven offices and a large conference and training room. This South Jersey office space for lease is fully furnished, full-service office space. If needed, there is a receptionist in place at this Sewell industrial space for lease. The South Jersey warehouse space for lease within this South Jersey industrial and flex building for lease has a ceiling height of 20 feet. There are two drive-in doors and one loading dock at this South Jersey warehouse space for lease. There is both pylon and directory signage available at this Sewell industrial space for lease through Wolf Commercial Real Estate, a South Jersey commercial real estate broker that specializes in Southern New Jersey commercial real estate listings and services. This Southern New Jersey industrial space for lease at 11 Enterprise Court Sewell NJ offers ample parking. More than 19,000 cars per day pass through the intersection of Delsea Drive and Emerald Lane near the entrance to this South Jersey industrial space for lease. Located off heavily traveled Route 47, this South Jersey industrial and flex space for lease is just minutes away from Route 55, the Atlantic City Expressway and I-295. This industrial and flex space in South Jersey is in close proximity to Rowan University, Five Points Shopping Center, Cooper Family Medicine and Kennedy University Hospital. More than 168,000 people live within a five-mile radius of this Southern New Jersey industrial space for lease at 11 Enterprise Court Sewell NJ and more than 62,000 households are located within five miles of this Sewell industrial space for lease. The average household income in the same five-mile radius from this industrial and flex space in South Jersey is nearly $88,000. For more information about this South Jersey industrial space for lease at 11 Enterprise Court Sewell NJ or about any other South Jersey industrial and flex space for lease or South Jersey commercial properties for sale or lease, please contact Christopher Henderson (856-857-6337; chris.henderson@wolfcre.com) or Jason Wolf (856-857-6301; jason.wolf@wolfcre.com) at Wolf Commercial Real Estate, a South Jersey commercial real estate brokerage firm. Wolf Commercial Real Estate is a premier South Jersey commercial real estate broker that provides a full range of Southern New Jersey commercial real estate listings and services, marketing commercial offices, medical properties, industrial properties, land properties, retail buildings and other South Jersey commercial properties for buyers, tenants, investors and sellers. Please visit our websites for a full listing of South Jersey commercial properties for lease or sale through the team at our South Jersey commercial real estate brokerage firm. Wolf Commercial Real Estate, the foremost South Jersey commercial real estate brokerage firm that specializes in Southern New Jersey commercial real estate listings and services, is now offering premier South Jersey industrial space for lease in the Greentree North Corporate Center at 15000 Commerce Parkway Mount Laurel NJ. There is 31,000 square feet of divisible industrial space in South Jersey at this single-story South Jersey industrial and flex building for lease. This South Jersey industrial and flex space for lease at 15000 Commerce Parkway Mount Laurel NJ is well suited for a multitude of office, industrial or flex uses. This Southern New Jersey industrial space for lease is locally owned and managed. This industrial and flex space in South Jersey in the Greentree North Corporate Center at 15000 Commerce Parkway Mount Laurel NJ is well located in a professional office park that offers many amenities attractive to tenants and potential employees. There also are numerous amenities in the area surrounding the Greentree North Corporate Center, where this Southern New Jersey industrial and flex space for lease is located. The asking lease price for this industrial space in South Jersey is available by contacting Wolf Commercial Real Estate, a South Jersey commercial real estate broker with expertise in Southern New Jersey commercial real estate listings and services. The Greentree North Corporate Center where this South Jersey industrial and flex space for lease is located has an on-site daycare center and recreational amenities on the office park grounds. This Southern New Jersey industrial space for lease also is near many hotels, restaurants, retailers and banks. 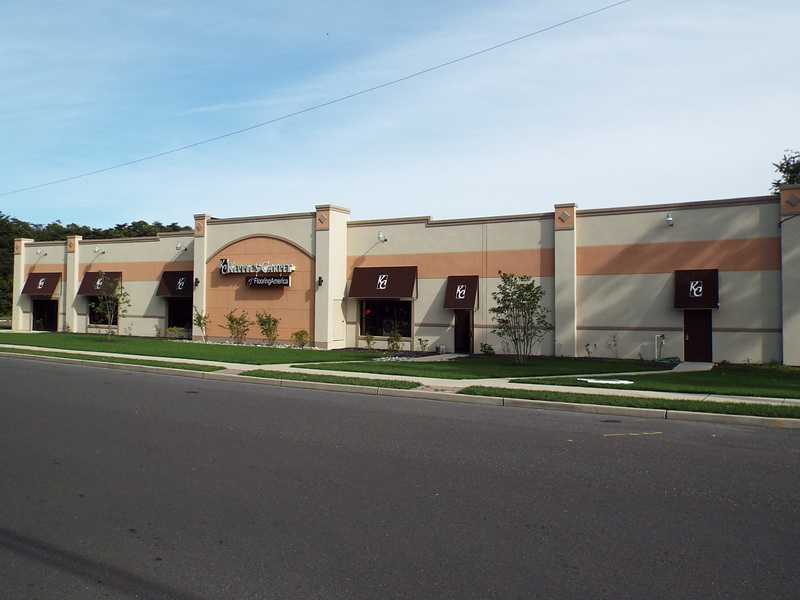 The major shopping centers within close proximity to this Southern New Jersey industrial and flex space for lease include the Greentree Square Shopping Center and the Moorestown Mall. This South Jersey industrial and flex building for lease at 15000 Commerce Parkway Mount Laurel NJ is situated right off busy Route 73. This location affords easy access from this industrial and flex space in South Jersey to Route 70, I-295 and the New Jersey Turnpike. In addition, this South Jersey industrial space for lease is just minutes from several major bridges to Philadelphia, including the Tacony-Palmyra Bridge, the Betsy Ross Bridge and the Benjamin Franklin Bridge. This industrial space in South Jersey in the Greentree North Corporate Center offers tenants both monument and tenant suite signage. This Southern New Jersey industrial space for lease is available for immediate occupancy through Wolf Commercial Real Estate, a South Jersey commercial real estate brokerage firm that specializes in Southern New Jersey commercial real estate listings and services. More than 46,000 vehicles per day drive through the entrance to this Southern New Jersey industrial and flex space for lease at the intersection of Route 73 and Lincoln Drive. Parking at this South Jersey industrial and flex building for lease at 15000 Commerce Parkway Mount Laurel NJ is plentiful with a ratio of 4.5/1,000 sf. There are more than 180,000 people residing within a five-mile radius of this South Jersey industrial and flex space for lease The average household income is $105,426 in the same area where this industrial and flex space in South Jersey is located. For more information about this South Jersey industrial space for lease in the Greentree North Corporate Center at 11000 Commerce Parkway Mount Laurel NJ or about any other South Jersey commercial properties for sale or lease, please contact Christina Del Duca (856-857-6304; christina.delduca@wolfcre.com) or Todd Levin (856-857-6319; todd.levin@wolfcre.com) at Wolf Commercial Real Estate, a South Jersey commercial real estate brokerage firm. Wolf Commercial Real Estate is the leading South Jersey commercial real estate broker that provides a full range of Southern New Jersey commercial real estate listings and services, marketing commercial offices, medical properties, industrial properties, land properties, retail buildings and other South Jersey commercial properties for buyers, tenants, investors and sellers. Please visit our website for a full listing of South Jersey commercial properties for lease or sale through our South Jersey commercial real estate brokerage firm. Wolf Commercial Real Estate, a leading Southern New Jersey commercial real estate brokerage firm that specializes in South Jersey commercial real estate listings and services, now has available well-located South Jersey industrial space for sale or lease at 110 Cushman Avenue West Berlin NJ. This South Jersey industrial building for sale or lease features approximately 35,500 square feet of South Jersey industrial and flex space for sale or lease for multiple uses. This Southern New Jersey industrial space for sale presents an excellent opportunity for an owner occupant or for an investor. There is 18,562 square feet of South Jersey warehouse space for sale or lease at this industrial space in South Jersey. Another 8,006 square feet of this South Jersey industrial space for sale or lease is ideal for use as a showroom. This South Jersey industrial building for sale or lease also features approximately 8,932 square feet of South Jersey office space for sale or lease. The asking sale price for this South Jersey industrial and flex space for sale or lease at 110 Cushman Avenue West Berlin NJ is $2,650,000. The asking lease price for this industrial space in South Jersey is $9.00/sf NNN. This Southern New Jersey industrial space for sale or lease is available for immediate occupancy through Wolf Commercial Real Estate, a Southern New Jersey commercial real estate broker that specializes in South Jersey commercial real estate listings and services. Recent capital improvements have been made to the exterior of this South Jersey industrial space for sale or lease and South Jersey office space for sale or lease. This South Jersey industrial and flex space for sale at 110 Cushman Avenue West Berlin NJ features four drive-ins and 18-foot-high ceilings. HVAC covers approximately 16,000 square feet of this industrial space in South Jersey. 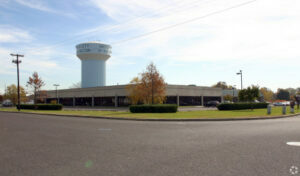 There are 25 parking spaces at this South Jersey industrial building for sale or lease. This Southern New Jersey industrial space for sale or lease is zoned C-3 RGA ZONE (Regional Commercial Growth Zone). There is facade signage available at this South Jersey industrial building for sale or lease through Wolf Commercial Real Estate, a Southern New Jersey commercial real estate brokerage firm that has extensive expertise in South Jersey commercial real estate listings and services. This South Jersey warehouse space for sale or lease is situated on approximately eight acres just off heavily traveled Route 73. There is easy access to Route 30, the Atlantic City Expressway and Cooper Road from this South Jersey office space for sale or lease. This South Jersey warehouse space for sale or lease is located in close proximity to many local retail shops and restaurants, as well as the Virtual Voorhees regional medical center. More than 101,000 people live within five miles of this South Jersey industrial and flex space for sale at 110 Cushman Avenue West Berlin NJ. The average household income in the same five-mile radius is nearly $90,000. An average of more than 30,000 vehicle per day pass by this Southern New Jersey industrial space for sale or lease.